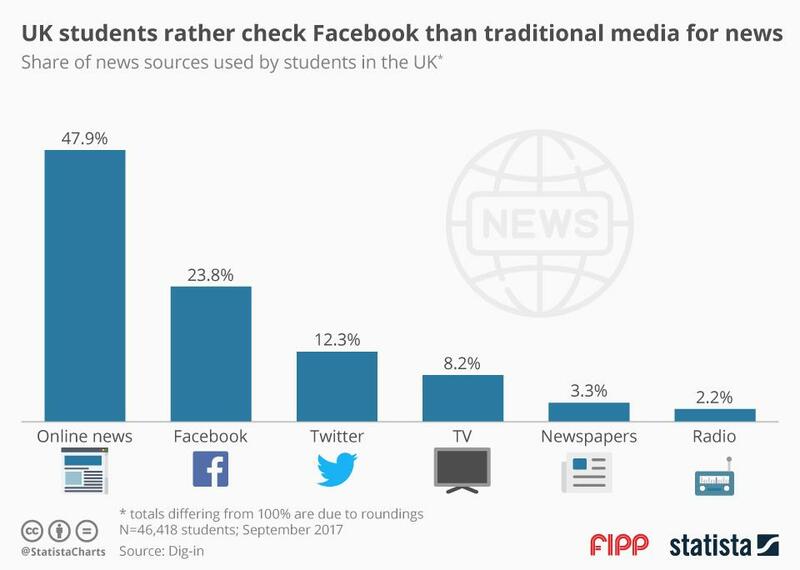 Chart of the week: UK students rather check Facebook than traditional media for news When it comes to staying informed, UK students prefer online news sources over traditional media outlets. 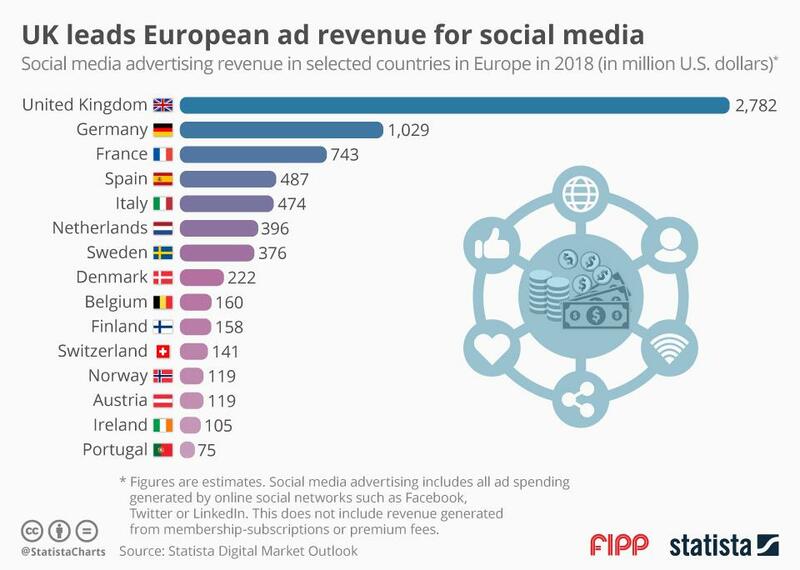 A stonking 84 per cent of all respondents claimed they would use either Facebook, Twitter or online news platforms as a source for news whilst only 13 percent said the same thing about print media and broadcasters. 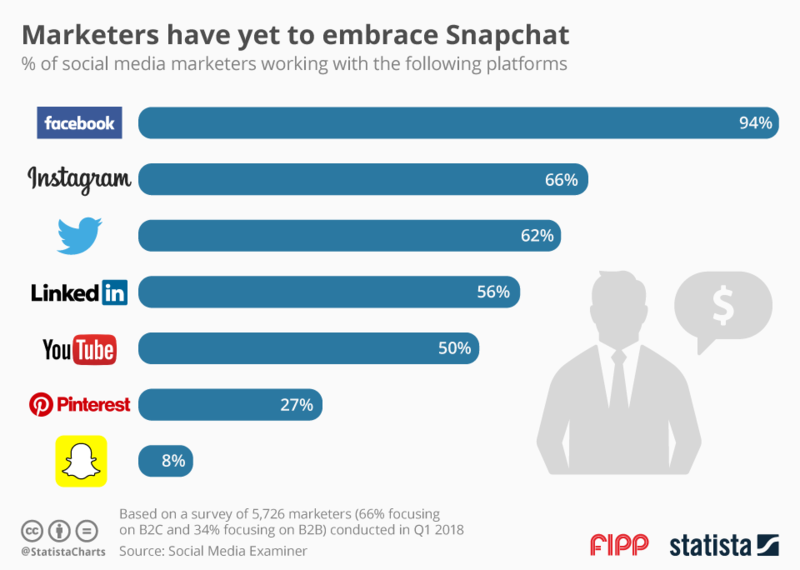 Chart of the week: Marketers have yet to embrace Snapchat Aside from Snapchat’s lackluster user growth and Facebook’s seemingly successful strategy of copying anything that Snapchat does well, there’s growing concern about the platform’s appeal to marketers (and hence its monetisation prospects). According to a recent report by the Social Media Examiner, just eight per cent of marketers used Snapchat in the first quarter of 2018, which is worlds apart from Facebook’s 94 per cent adoption rate and far behind the 66 per cent of marketers that are active on Instagram. Making things worse, 72 per cent of the respondents have no plans of using Snapchat in the next 12 months, indicating that marketers do not consider it relevant enough to give it a try. The data follows a controversial redesign and less than stellar results during Snap's first year as a public company. 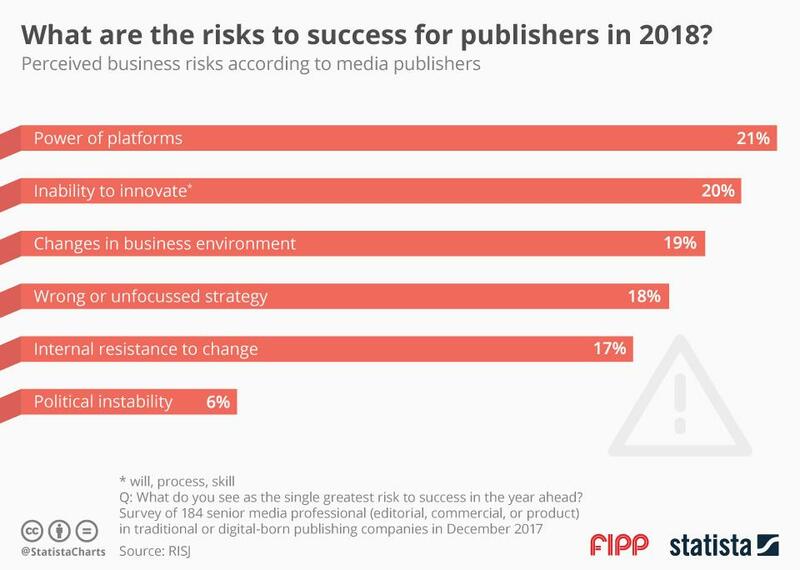 Chart of the week: What are the risks to success for publishers in 2018? Social media, and above all Facebook, took a lot of heat for its perceived role in disseminating rumour and false news, most prominently during the US election campaign in 2016. Now, the firm has announced that it will give publishers less space for promoting their content (organically) on its platform. This is of course is bad news for publishers. This sort of decision is probably one of the reasons why publishers rank platforms to be one of the greatest threats to their business success in 2018. Twenty-one per cent of senior media publishers interviewed by the Reuters Institute for the Study of Journalism (RISJ) think platforms are a real risk to business. However, apart from annoying publishers, Facebooks’ decision has far greater consequences: While the company argues that it wants to re-priorities updates from friends, family member and other contacts, in reality, it won’t shut down news about other news-worthy real world events being disseminated. It’s only that the voice of those who filter and verify news professionally, the so-called gatekeepers in the news media, will be tuned down, possibly making the spread of false news and rumours even more prevalent. It’s almost as if Facebook is shying away from its real responsibilities. 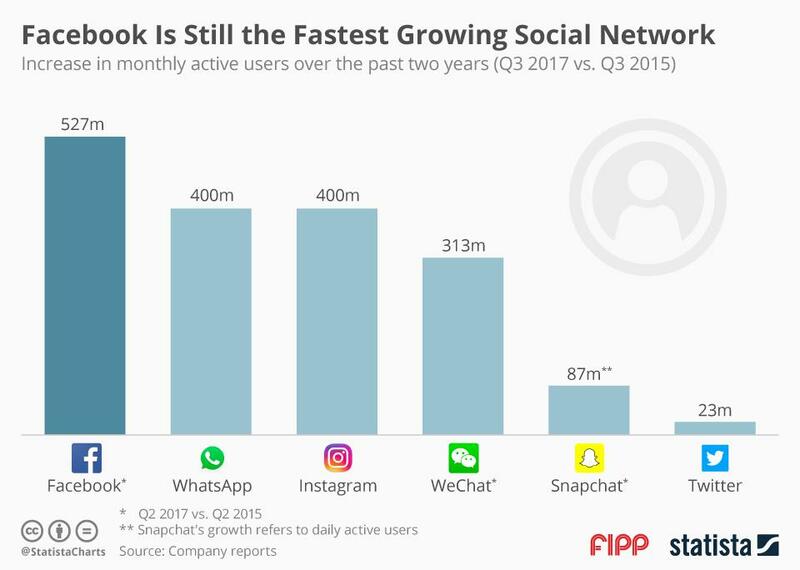 Chart of the week: Facebook is still the fastest growing social media network It may not be as hip as Snapchat or Instagram, but Facebook is still a must-have channel for publishers trying to reach a large audience. The world’s largest social network just keeps on growing and now has more than 2.07 billion users around the world. 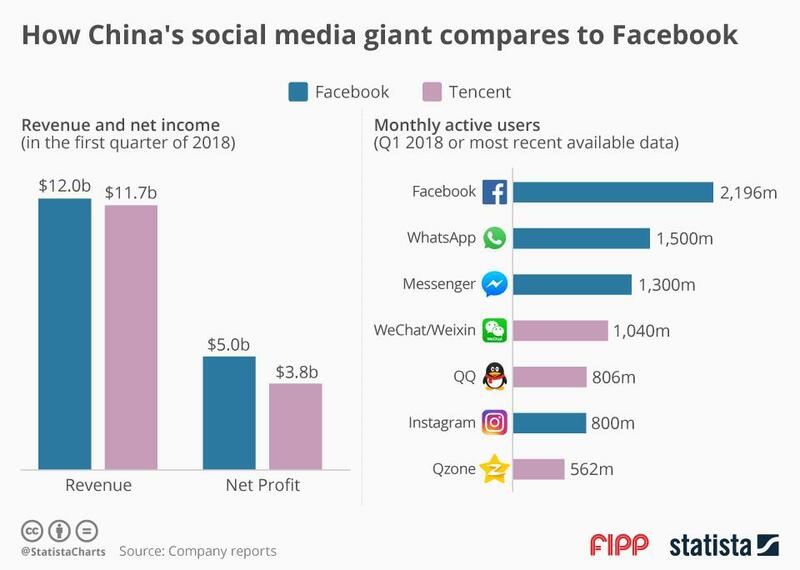 Facebook may seem like the slow behemoth that can no longer keep up with the explosive growth of younger platforms, but in fact no other social media platform added more users than Facebook over the past two years. 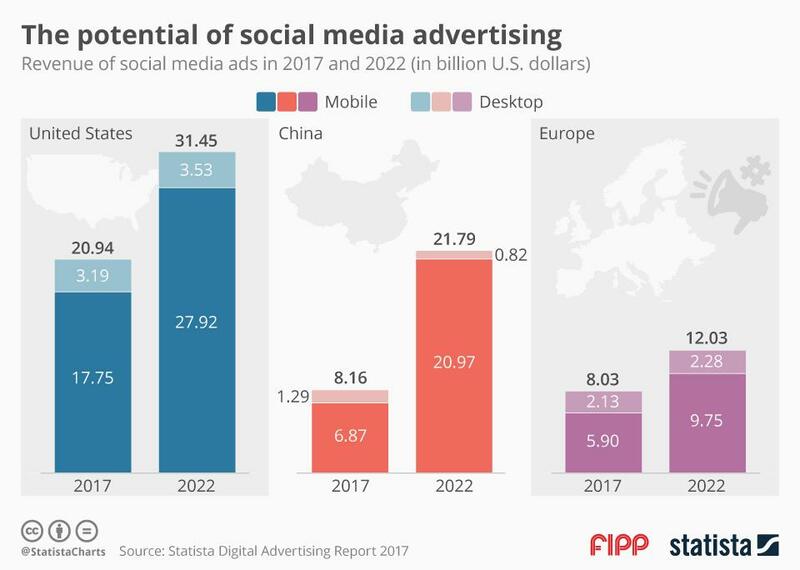 As the following chart by Statista shows, Facebook added 527 million monthly active users in the past two years – that is considerably more than Twitter’s entire user base (330 million). And it’s not just sheer size that speaks for Facebook. According to a survey conducted by the Audience Project in the United States, Facebook is also the most engaging social media platform. Fifty-three per cent of the respondents said that they open the Facebook app at least several times a day. Snapchat only reaches 34 per cent in that regard.